Returning to blog after long time. Something has caused me to read Sai SatCharitra for 20 times. Could not write even though i tried few times to do so. 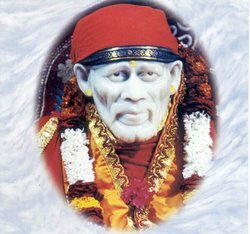 The20 readings were completed yesterday morning and Sai Baba's grace bestowing leelas are back on the blog. Happened to open a very good book named 'Baba's Rinanubandh' compiled by Vinny Chitluri, who has dedicated her life to Sai Baba like many devotees drawn by Him. She was Jabalpur, then she was in Delhi for graduation in studies and than to U.S.A. for post graduation. She practiced as a medical doctor in U.SA. and returned to India. She is now settled in Shirdi and have authored and published five books namely 1). Baba' Rinanubandh 2 & 3). 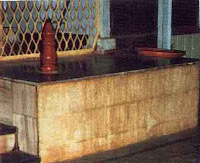 Ambrosia in Shirdi part 1 & 2. - 4) Baba's Vaani. Fourth book is being written and will be published shortly. 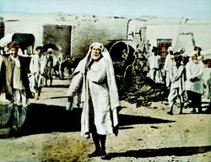 The very first chapter has some amazing incidents indicating the ever powerful Baba's grace and help to His devotees. The first chapter describes incidents from Dev Baba's alias Ananat Prabhu Walavakar. 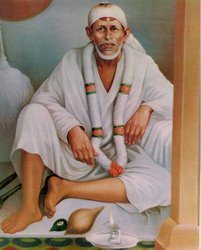 He was son of Rajaram Kaka and Krishnabai alias Sitabai (daughter of Hemandpant or Dabholkar from whom the sacred text flowed in the form of Shri Sai SatCharitra , a collection of grace bestowing stories of Shri Sai Baba). During the pregnancy times Sitabai was ill and was at her parent's home. 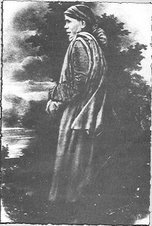 Dabolkar was much concerned over the illness of his pregnant daughter and he did what all devotees do. 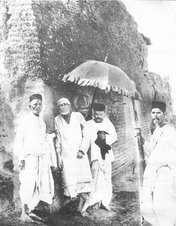 He rushed to Shirdi and told about the concern his Guru and God. 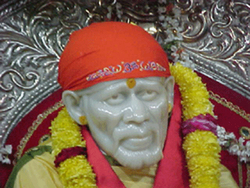 Sai Baba assured him and said, " बालान्त्पन निर्विग्न होएल" meaning the delivery will be trouble free. He also told that His son will be born to her. Dabholkar returned home with Sai Baba's assurance and the prayers kept flowing from his heart and mind. Rajaram the to be father was devotee to Vitthal, pray earnestly to his deity asking for a son like Saint Dnyaneshwar. At the delivery time both the Rajaram and Dabholkar waited anxiously outside. It was 13th April 1918 A.D. Upon entering the room to see his daughter and her new born child, Dhabolkar could not believe what laid before his eyes. The mother had thrown the child in a corner of the room and would not touch or cuddle him. What was even more surprising was that the new born baby thrown in a corner of a room and away from his mother or any other human love and care, lay contentedly. The surprise elements were not over yet. One more surprising thing was seen, a halo of light around the head of the child and an aura of light around the child's body. The mother was afraid to touch the child, and refused the much needed motherly care and nursing of the child. Quiet anxious and distraught at the mother's behavior, Dabholkar picked up the child and rushed to Shirdi. 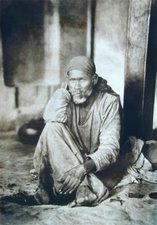 He went straight to Dwarkamai and kept the child at Sai Baba's feet and began explaining in detail, all that had happened with anxiety. Meanwhile Sai Baba picked up the little child, laid him in his lap and patted him with His divine hands. Sai Baba gently put His thumb in the child's mouth and milked flowed from His thumb. 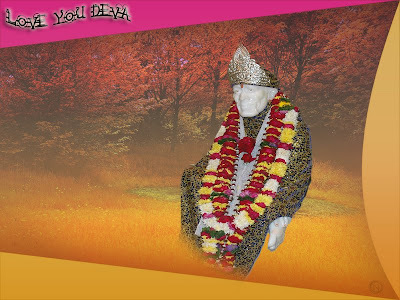 Those who had been long with Sai Baba, it should not have been surprising, but yet another miracle that took place in the Divine presence of Sai Baba. 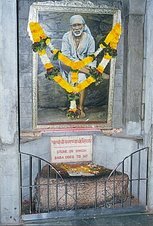 Aum SatChitAnanda Sadguru SaiNath Maharaj Ki Jai.